Orimarkproperties.com is Odisha’s leading online property portal committed to help the people to make profitable decisions towards buying, selling, renting, and leasing of properties in India. The head office is located at Saheed Nagar, Bhubaneswar, 751017, Odisha and 24x7 hrs contact numbers are 0674- 3204083 / 2542330 / 3011624. 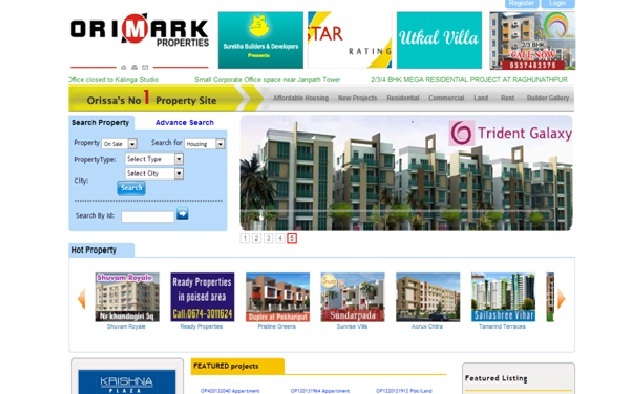 The advantages of Orimarkproperties.com are easy to use as an expert friend with visual appealing.